There were clear skies and ideal running conditions for athletes competing on the penultimate day of the US Olympic Trials at Hayward Field. 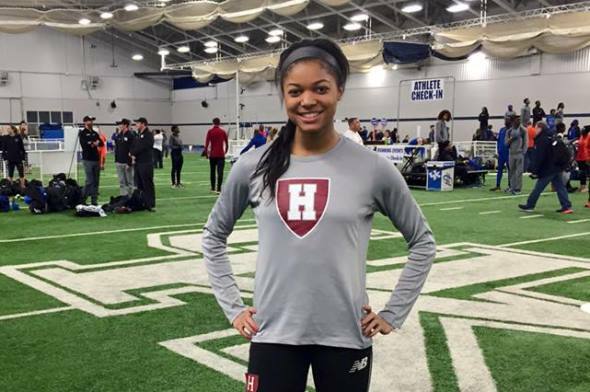 Gabrielle Thomas (Harvard ’19) held her own in the women’s 200m semi-final round as she posted the fifth fastest time out of three heats heading into the finals. Thomas earned an automatic qualification by placing second in her heat running 22.72 to advance. Tomorrow, she will have to run close to her lifetime best of 22.47, if not faster, to beat out some of the more experienced runners who have their eyes set on the Games. In an action packed men’s 5000m race, a few favorites expected to place among the top three fell just places shy of punching their ticket to Rio, including Ben True (Dartmouth ’08). Early into the race, True settled into the chase pack behind Galen Rupp who ran a comfortable pace until the 3k mark. With just 800m to go, True moved into third place and his goal of making the team was becoming tangible. But nearing the homestretch there was a change of pace as Olympic medalist and World Champion Bernard Lagat surged to the front of the pack to claim first 13:35.50, with Hassan Mead 13:35.70 and Paul Chelimo 13:32.92 in tow – True faded to fifth running 13:36.40. This entry was posted on Saturday, July 9th, 2016 at 9:17 pm. It is filed under Olympics, Spotlight. You can follow any responses to this entry through the RSS 2.0 feed.